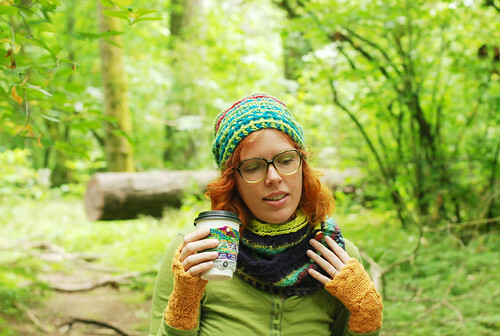 Based on my blog alone, you’d think I’ve worked on nothing but Adventure Knitting for the last 2 months, which was kind of true for awhile, but not anymore, so I thought I should pop in here and show you what I’ve been up to behind the scenes! If you follow me on twitter/instagram, you’ve likely seen a lot of these peeks already – I do love showing knitting peeks on instagram! 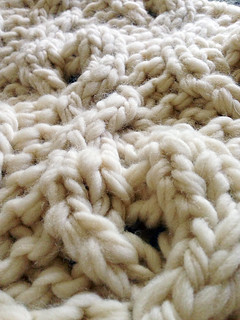 I’m currently focused on a design I’ll be self-publishing in mid-September – a big squishy bulky knit for fall! 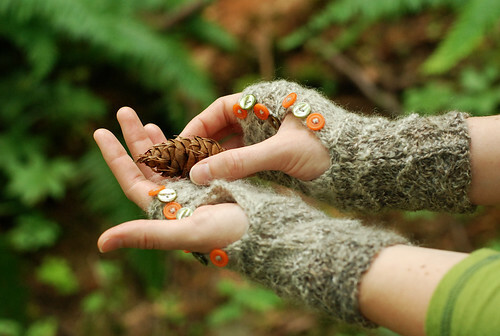 I’m loving it even while it’s still full on summer weather; it’s making me so anxious for some crisp autumn air! This one isn’t secret, but I’m not quite ready to reveal the whole thing yet… keep an eye on my tweets/instas because the full reveal will likely be happening in a few days. 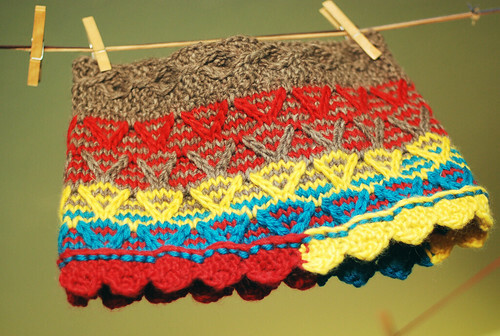 And, this pattern will be the first in a new trio! Fun! 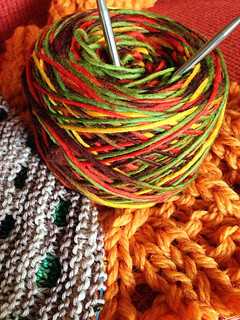 So that’s that for now, back to knitting with me! 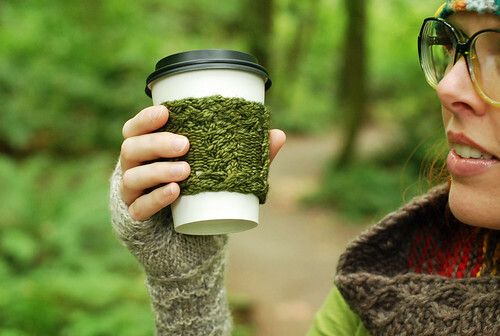 Adventure Knitting: now completely complete! 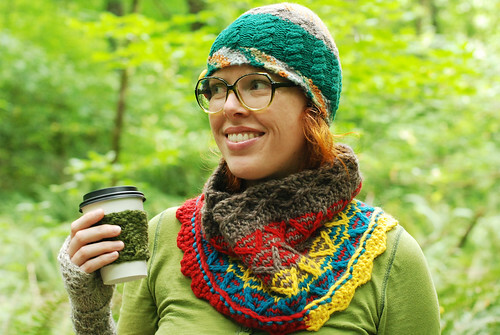 Okay this is finally the final Adventure Knitting blog post – I got my final draft of the print book in the mail today, so the print book is now officially available and everything is complete! 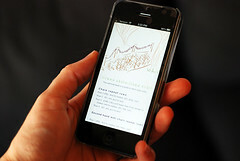 But before I get into the print book info, let me tell you the whole deal about the ebook. I made a video! 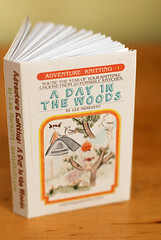 The first few minutes of that video (on youtube here) are an introduction to Adventure Knitting, so that’s a quick way to hear about what it is, and then there are the in-depth (aka long) tutorials for folding and binding the DIY books. Oh yes, DIY books! 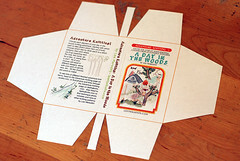 And then the entire book is also included in the printable, foldable, bindable DIY book format! 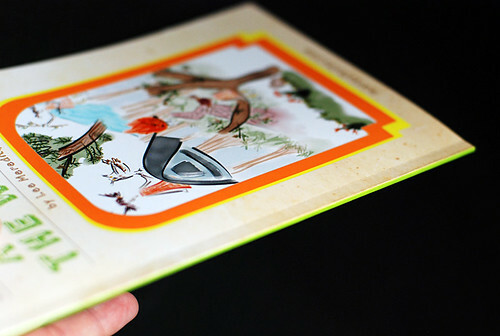 To make the book, you’ll only need to print out 8 or 10 pages (depending on whether you want the optional chart pages), plus 1 more for the cover, to make a 64 or 80 page covered book! 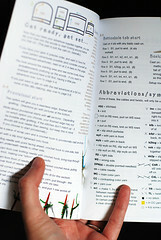 The pdf cover page tells you exactly what’s what, and which pages to print, depending on whether you want to print just the DIY book (and read the extra notes, view the sample photos, etc, on your screen), or print everything you need – the notes, stitch patterns, samples, etc are all on condensed printable pages so that you can print everything out with minimal paper/ink usage. 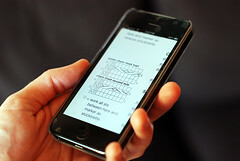 So, read that cover page and you’ll know how to print only what you need out of the 44 page pdf. That’s the pdf form… and now the whole thing is also in actual print book form (above)! That’s a few bucks more (18 vs 14), but it’s everything (written, charts, stitch patterns, samples, diagrams, techniques, etc…) in a nicely full-color printed 32 page book, no DIY-ing necessary. 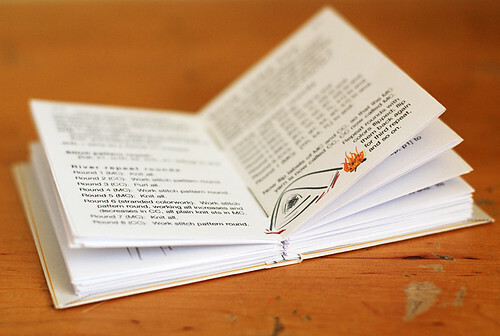 It’s a paperback book, perfect-bound (not staple-bound like my smaller booklets), approx 8.5×5.5 inches – about the size of a piece of letter paper folded in half, perfect for slipping into your project bag. So that’s that! 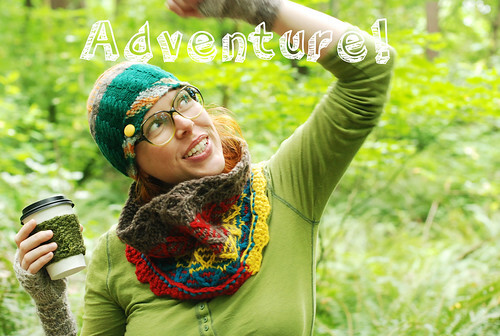 Adventure Knitting, now actually complete and I’ve said all I can say… Oh in case you’re new here, check out my previous post for all the adventure sample knit items! 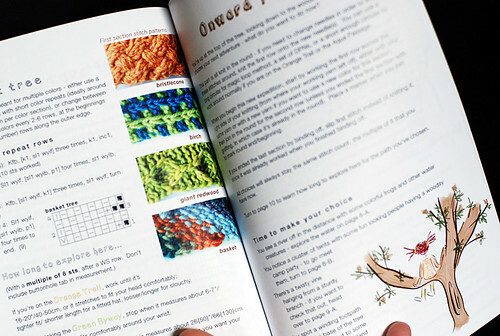 And a final note, to any LYS people reading this: The print book is available wholesale through Deep South, and the pdf ebook is available in-store through ravelry for digital-friendly customers (of course, you wouldn’t want to print out the whole 44 page pdf). 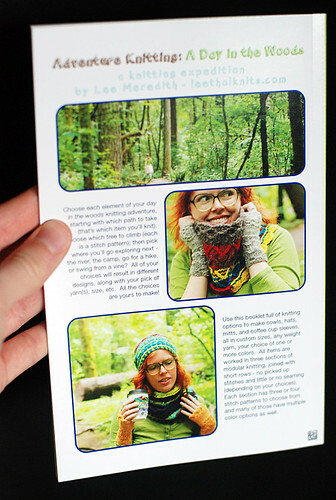 Also, I’ve updated my leethalknits wholesale page and I now have a line sheet for all my wholesale patterns! 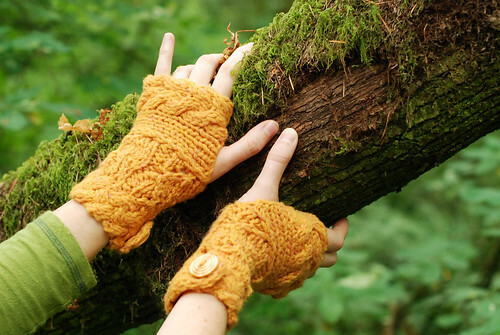 Woodsy knits! 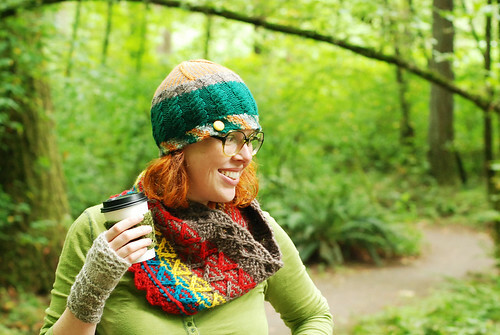 My Adventure Knitting sample pieces! 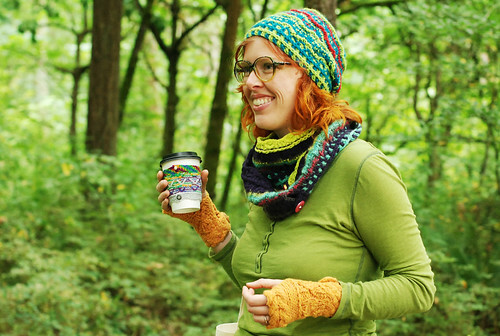 Adventure Knitting: A Day in the Woods is now released in its entirety! 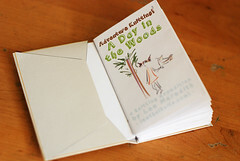 In pdf form (which includes the DIY bound book! ); in a few days, it will also be available in print book form, so I’ll post one final time about it then. 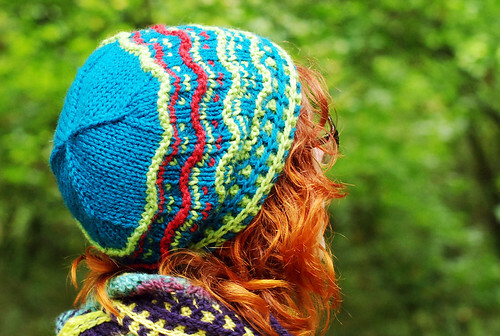 For now, I want to share with you all my sample adventure knits! First I climbed the birch trees in blue and green, then I played in the river, with blue as the main color and green as contrasting, and then added red as a second contrasting color in the second half of the section. I used the solid blue to climb the flat peaks for the crown. 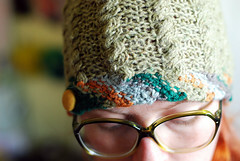 The brim was closed with a sewn seam (seen here), and the size is slouchy. When I stopped the first section (brim) it measured approximately 19 inches, unstretched, and I stopped the body second section at approximately 7 inches. In worsted weight, I climbed the basket tree with 5 colors, then I used one solid (Quince & Co Lark) to swing on vines for the second section. 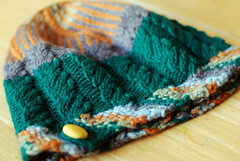 Since this was a leftover-busting hat, I ran out of the green towards the top of the vines and switched over to the brown (Knit Picks Wool of the Andes), which then blended into the crown, in the color rows pattern, with orange as the main color, and the contrasting brown switched to greenish beige, then to dark green at the tip. 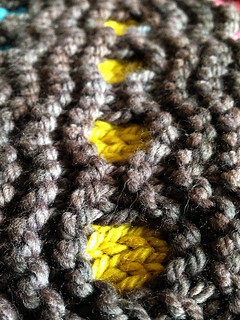 All finished off with a yellow button to close the brim. 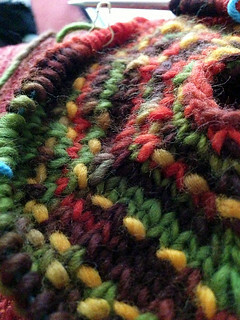 For the brim, with the 5 colors, I used this locking in technique to carry all 5 strands along the back side (locking 4 strands into a stitch together, as if they were 1 strand), instead of breaking them, to avoid having to weave in a million ends. 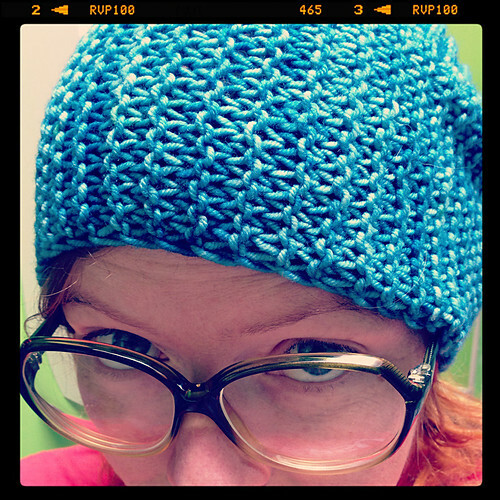 It’s pretty bulky along the brim, with the 5 strands of worsted, and it was a huge pain to keep the 5 balls detangled while knitting, but it works! I striped in rotating color order (color A, B, C, D, E, repeat), with 2 rows, 4 rows, 6 rows, rotating throughout the brim. This hat was originally totally different. 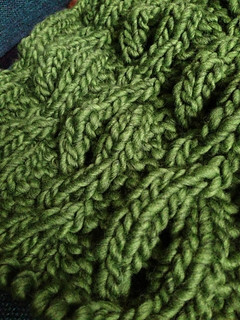 I knit the whole thing, using this recycled tweedy greenish yarn as the main color, with a very different vines cable design. 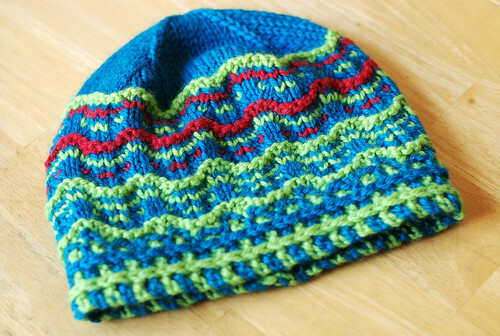 After it was finished, I decided to redesign the cables, frog the hat down to the brim, and reknit it in a different main color. 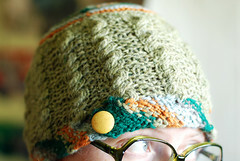 I used the stone hilltop crown pattern in this first hat, switching between the 5 colors, which I really love. 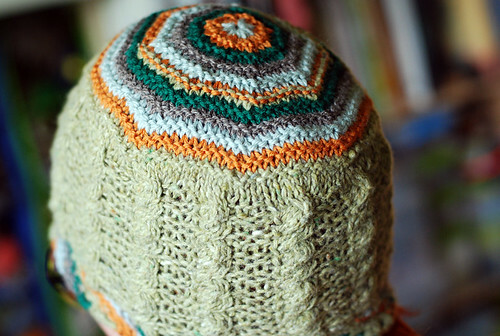 But since I was able to use this first crown as the stitch pattern sample, I used the other crown pattern in the reknit hat, to test out all the patterns; I am sad to have had to frog this colorful crown though, love it! 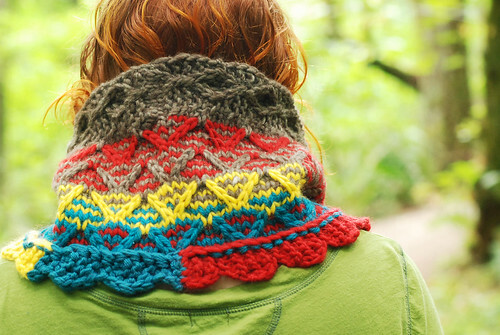 I’m really glad I decided to redesign the cables, I like the vines pattern much better now! 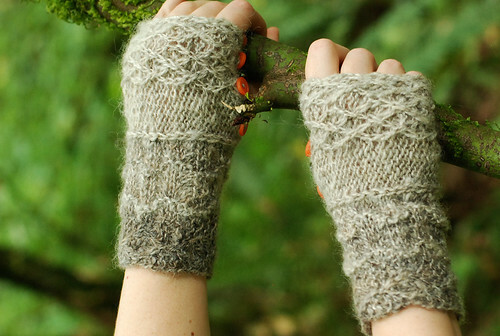 Even though you can barely make out the first two stitch patterns, I really love these mitts! I started out climbing the giant redwoods in the darker yarn, then I played in the river with the dark as the main and the lighter as the contrasting. 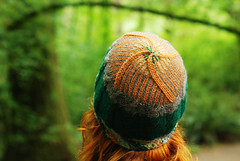 I finished along the diamond path (with 2 pattern repeats) in the lighter yarn, with the buttoning hand closure. 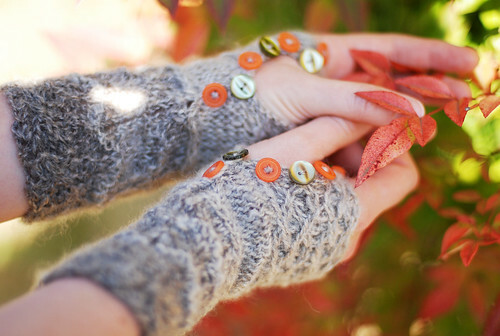 And then, with all the buttons fastened to make them wrist-warmers instead. I started out up the bristlecone pine trees, then tried out the footpath, before ending along the chain-lined trail (with just one pattern repeat). 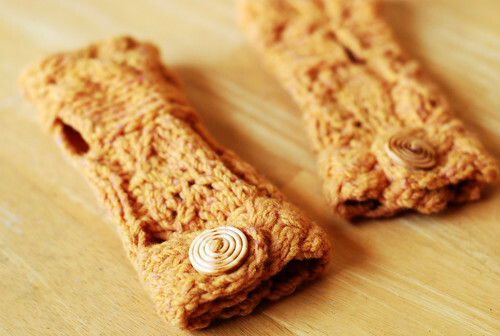 With the hand sewn closed, you can customize it to your liking, sewing more or less, to fit your hands and have a taller or shorter top part; you can also sew it up from the bottom of the third section if you want the thumbhole positioned differently. 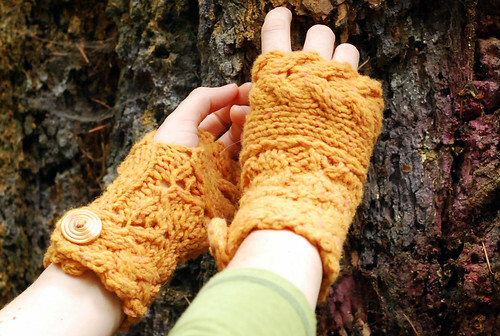 With the size and shape of these particular mitts, it worked out perfectly to sew them closed along the cables, so the plain stockinette parts are where the thumbholes are. 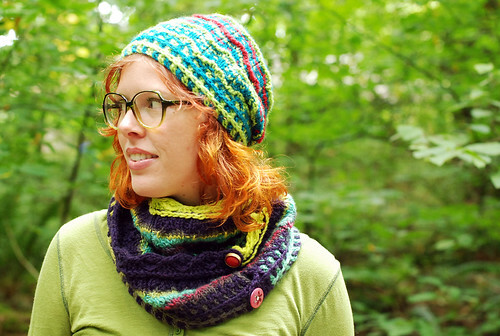 On the Aqua Passage, I made this squishy, bulky, colorful cowl! I busted through a bunch of leftover bits here, a couple different colors (brown and yellow) of Brown Sheep Lanaloft Bulky, an unknown similar bulky yarn (red), and an aran weight blue held double. I started (at the top) with the giant redwood in brown, then I had fun at camp, starting with the red as main and brown as contrasting, and adding the yellow as a main in the third repeat, and blue as main in the fourth repeat. I finished it off along the dipping track, using red until it ran out, then yellow until that ran out, then blue at the end. You may prefer a more planned color design, but I like the colorful, scrappy look! 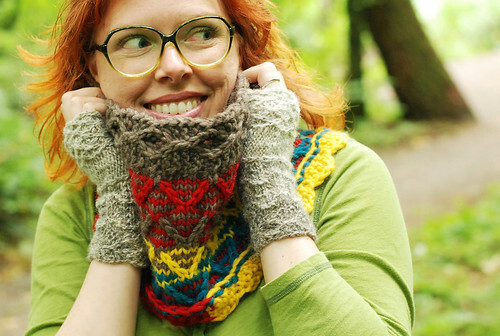 This is such a comfy, cozy cowl, in the smaller loop size with the body knit to 8 inches, so squishy in the bulky with the slipped+twisted stitch pattern; I can’t wait to wear it in the fall! 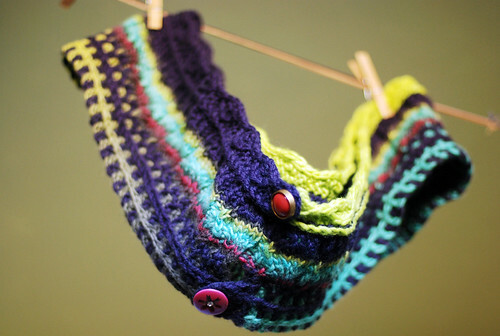 For my second cowl, I made the long loop size, so it wraps around twice, with the button closures on both first and last sections. Then I switched to a solid bright yellow-green Malabrigo Merino Worsted for about three quarters of the last section, for an extra pop of contrast! I’m really happy with the look of the final piece! 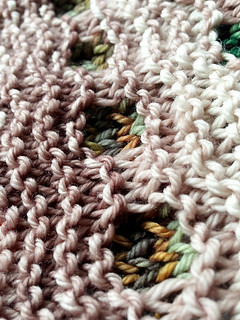 I chose the pink buttons to make that single row of pink in the center pop a bit. I’m really looking forward to wearing this one, as well; love it! 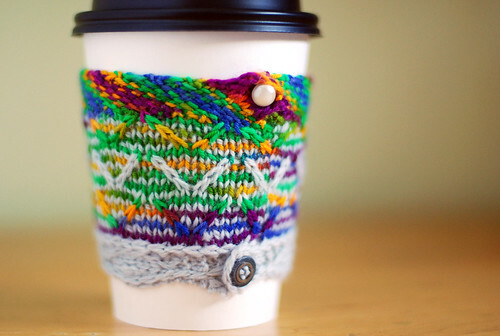 And then there’s the Gold Route – the quick knit option, a coffee cup sleeve. I made this one in sock yarns – starting (at the top) with Black Trillium variegated Merilon yarn (crazy colorful Hazel colorway), climbing the basket tree. 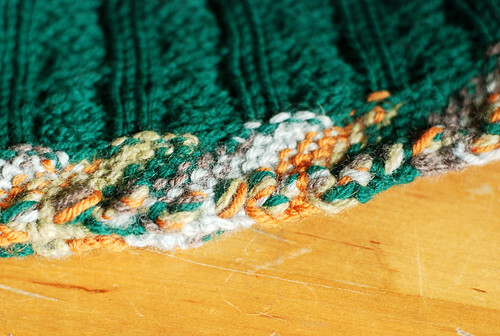 Then I added some plain grey Knit Picks Palette for the second section contrasting color, to have fun at camp for awhile. I used the solid grey for the third section, to finish along the hilly pathway; and both first and last sections are closed with buttons for some extra fun! 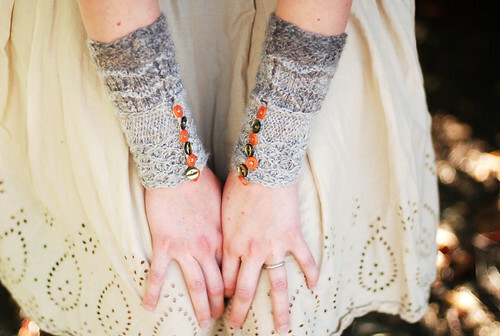 I really love this sleeve! 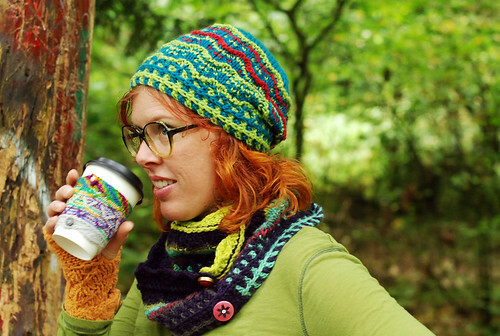 Fun, colorful, buttony, and practical – so many good things! 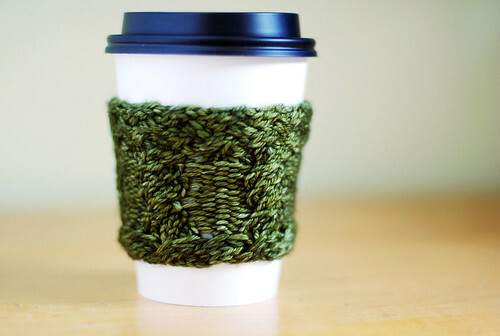 My final sample, a solid (well, hand-dyed semi-solid) coffee cup sleeve, in all cable patterns, was made with lovely Knitted Wit Superwash Merino Worsted green yarn. In case you can’t tell, I really love all my adventure samples! 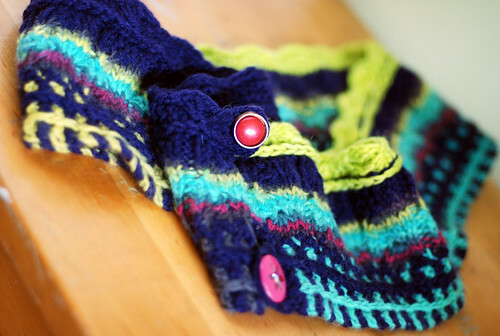 This project has been SO MUCH FUN to design, write, knit, organize, and follow along with knit-a-longers. So much fun. This will not be our last adventure! 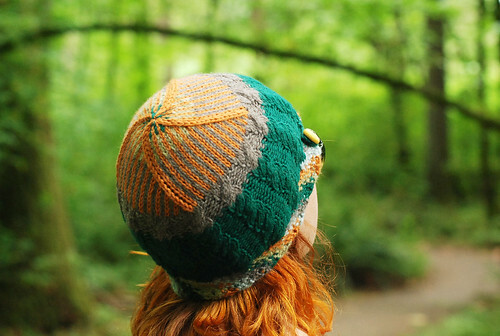 I think adventure knitting is the perfect summer knitting activity, so I’m planning to hopefully, probably, almost-for-sure, make this a summer tradition! At least for a few years until the next fun thing takes its place, who knows what the future will bring! 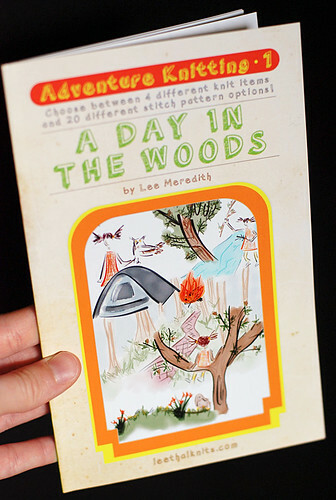 For now, you can still have woods adventures, of course, and if you have any feedback I can consider to make next summer’s adventure even more fun, let me know in the feedback thread. Thanks! Adventure on!